With a specialty in internal medicine, Dr. Joseph V. Messer focuses on treating those with cardiovascular diseases. As well as serving on our board of directors as Chairman, Dr. Messer works with the North Shore University Health System in Chicago, IL and is on staff at the Glenbrook Hospital in Glenview, IL. Dr. Messer is a graduate of Harvard Medical School. Sandra is an Advanced Practice Nurse, currently working in private practice in cardiology with Dr. Benedict Maniscalco. She is a Fellow of the American Heart Association, Fellow of the National Lipid Association, has served two terms as the Chair for Development Committee for the AHA Council on Cardiovascular Nursing, Chair for the Strategic Development Committee and Board of Directors for Heartbeat International, and Southeast Lipid Association. Dr. Benedict Maniscalco has been in the private practice of medicine, specializing in cardiovascular diseases since 1976. He is proud to serve the key leadership position as the Chairman and CEO of Heartbeat International. Dr. Maniscalco continues his practice of preventive and consultative cardiology, in addition to serving as medical advisor to multiple companies involved in medically related business. He is regarded as an opinion leader, innovator, and educator in cardiovascular medicine. He has served the American College of Cardiology at the local, state, and national level in leadership roles which have directly influenced health care policy. After leaving a faculty position at the University of South Florida School of Medicine, he founded the St. Joseph’s Heart Institute in Tampa, FL. He is a member of the American Medical Association, American Heart Association and a fellow of the American Heart Association, the American College of Cardiology, the American College of Physicians, the American College of Chest Physicians, and the Society for Cardiac Angioplasty. Dr. Maniscalco is a graduate of Duke University School of Medicine and obtained his post graduate training in Internal Medicine and Cardiovascular Disease at Emory University affiliated hospitals. As the Chairman of HBI Mexico, Ariel Garcia plays an important role in saving the lives of those in need and managing the success of a large Heart Center network. He works directly with many Rotary Clubs in Mexico to help raise funds for the continued success of our Heart Centers. Jan is passionate about sharing her knowledge and leadership. For over 15 years she has been passionately involved in the CIED market and EP community through positions Medtronic, St. Jude Medical, Spectranetics and now Equis Consulting Group. Ms. Henderson’s leadership roles have ranged from sales & marketing to national & corporate accounts to independent consultant. She has worked with companies ranging from those that have implanted pacemakers, defibrillators and recorders to a company who specialized in removing them and now to a service that is focused on monitoring device patients remotely throughout their lives. Through her multiple roles, she has developed key physician and hospital administrative relationships across the entire Southeast and Mid Atlantic area. Most recently, Ms. Henderson founded In2itive Training Solutions, Inc. in St. Petersburg, FL. Ms. Henderson joins Heartbeat International with the hope of utilizing her contacts and leadership skills to propel the HBI mission forward. As a cardiologist for the University of Michigan Frankel Cardiovascular Center, Dr. Thomas Crawford specializes and is board certified in cardiovascular diseases. Graduating from the University of Tennessee College of Medicine, Dr. Crawford serves as a medical director on our board of directors. Peter is a Certified Project Manager in the building construction field.  He has extensive experience in end to end project management from conceptualization through completion. 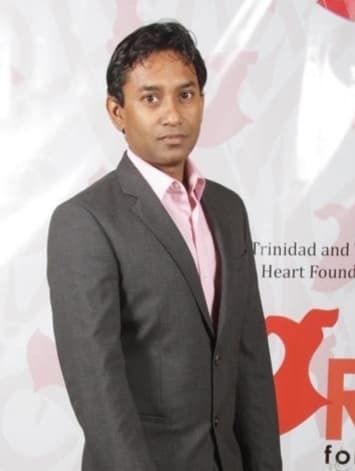 Mr. Musaib-Ali has been intimately involved in Heartbeat International of Trinidad & Tobago since 2006 as their Secretary, and now, as Chairman of the HBITT Heart Center as well as Chairman of the Regional Distribution Center. We are very grateful to have Peter as part of the HBI Board of Directors now as well. His expertise and experience in running a local Heart Center will provide to be invaluable. Dr. Alfaro founded the first pacemaker bank (now referred to as “Heart Center”) in Guatemala in 1985. Dedication to his work and attributions to medicine, have earned Dr. Alfaro a Mastership from the American College of Physicians. We are proud to have him continue to be a member of our team. Basha's involvement dates back to one of the first Pacemaker Banks which was established in Trinidad & Tobago (T&T) in 1985. Basha was appointed as a member of the Board of Directors of Heartbeat International in 2006 with responsibilities for the Caribbean. He served as Heartbeat International Treasurer in 2007. In 2008, at the request of Board of Directors, Basha established and is operating the Regional Distribution Center (RDC). The RDC stores and distributes the donated medical devices which supply the worldwide network of Heart Centers. Basha is a trained Management Accountant. He is the Governing Director of BSM Family Company Limited; Director of Caribbean Housing Limited and Westmoorings Limited. He specializes in private real estate development with some forty (40) years of experience in the industry. Basha is a member and past President of the Rotary Club of St. Augustine; and a member of the Cadre of Technical Advisors and registered Volunteer of the Rotary Foundation of Rotary International. It is with heavy hearts that announce the passing of one of Heartbeat International's Heros, Mr. Basha Mohammed. "On behalf of the Board and Staff of Heartbeat International Foundation, I wish to express our profound sense of loss in learning of Basha's passing. Basha was a central force in promoting Heartbeat's mission. He provided exceptional wisdom in guiding our progress, and was a colleague of great kindness and abiding faith throughout his life. Basha will be missed by all of us. Thank you for sharing him with us for all these years." "Basha was a man of great faith and so I know he is with our Lord and enjoying the rich reward of faith and commitment to Him. His contribution to Heartbeat International was legendary and exemplified the highest of the meaning of his beloved Rotary International “ Service before Self”. I am a better man for having known and experienced his greatness , generosity, and benevolence. I loved him and will miss him very much."